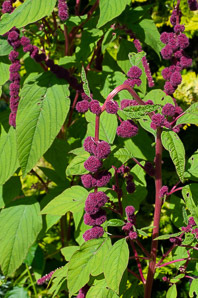 This cultivar of Amaranthus caudatus is not found in the wild. 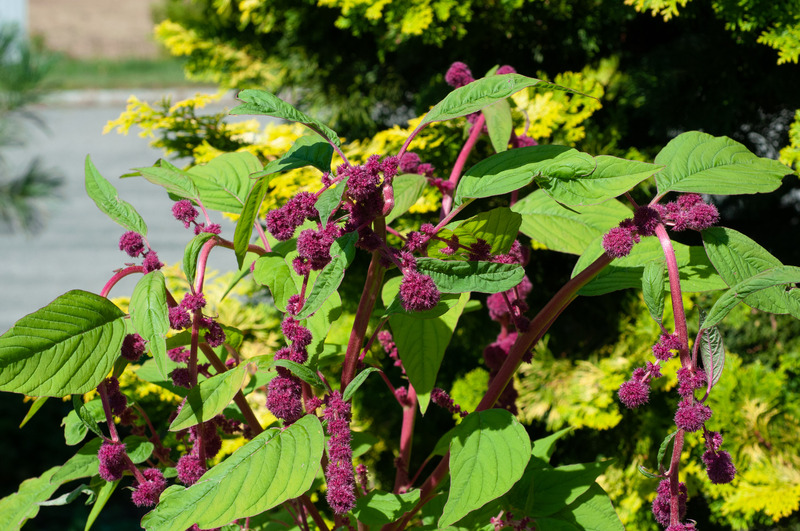 Identification: These plants reach 4' (1.2 m) in height and up to 18" (45 cm) around, with fairly thick, pale green or red stems. 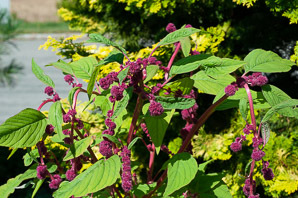 Beautiful fuchsia-colored flowerheads up to 24-36" (60-91 cm) long are composed of “dreadlocks”—many pom-pom shaped flowers. 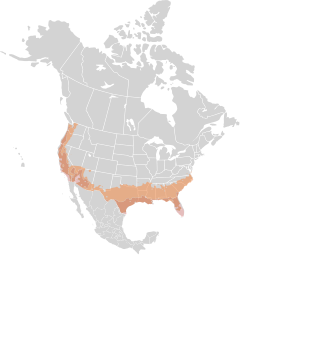 Leaves are 3-6" (7.6-15 cm) long by 1-1½" (2.5-3.8 cm) wide, tapering to sharp tips, green to yellow-green. 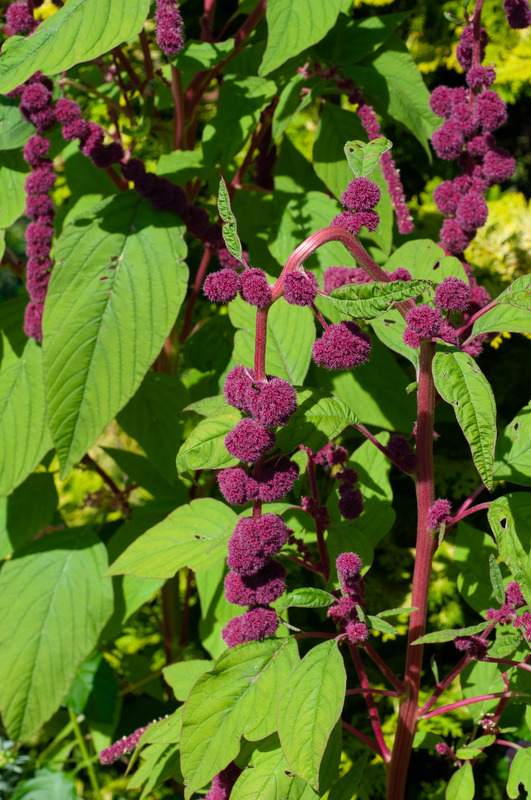 Amaranthus ‘Dreadlocks’ description by Thomas H. Kent, last updated 12 Oct 2018.